I am back on track on Randje per week 2016 challenge. The TAST challenge was totally neglected, which is pity. 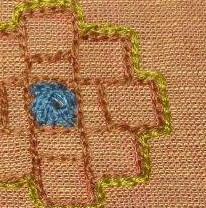 Yesterday, this blog link was posted on FB TAST group page for this week’s Up and down buttonhole stitch samples. 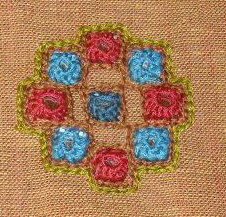 This sampler was worked in July 2012. 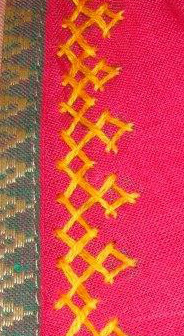 The kutchwork on one sleeve was completed, and work on second sleeve started on Monday. This is not taking much time as I had thought before. 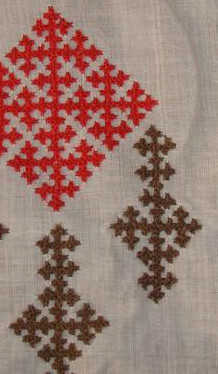 A few square motifs in brown thread was worked on tunic front. 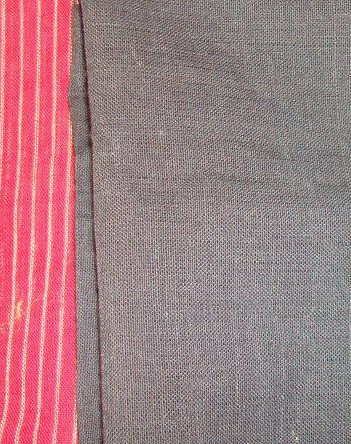 At this stage, it is better to complete the sleeves and give the fabric to the tailor for sewing. 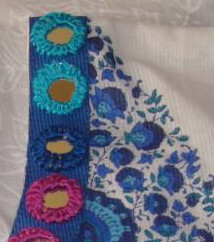 The tunic front can be worked after the tunic is sewn. 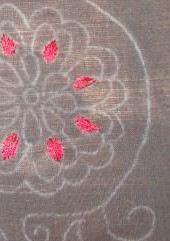 It won’t be difficult to use embroidery hoop in a larger space. 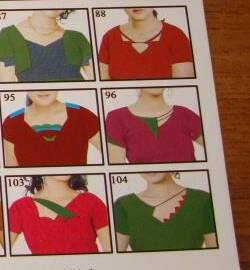 There are space restrictions on sleeves to use hoop on a sewn tunic. 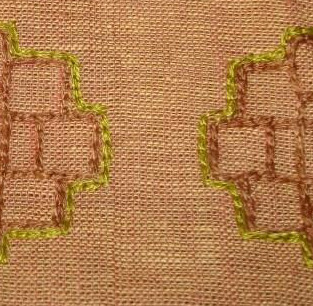 A sample of mirror work was attempted on the sleeve of this beige tunic. 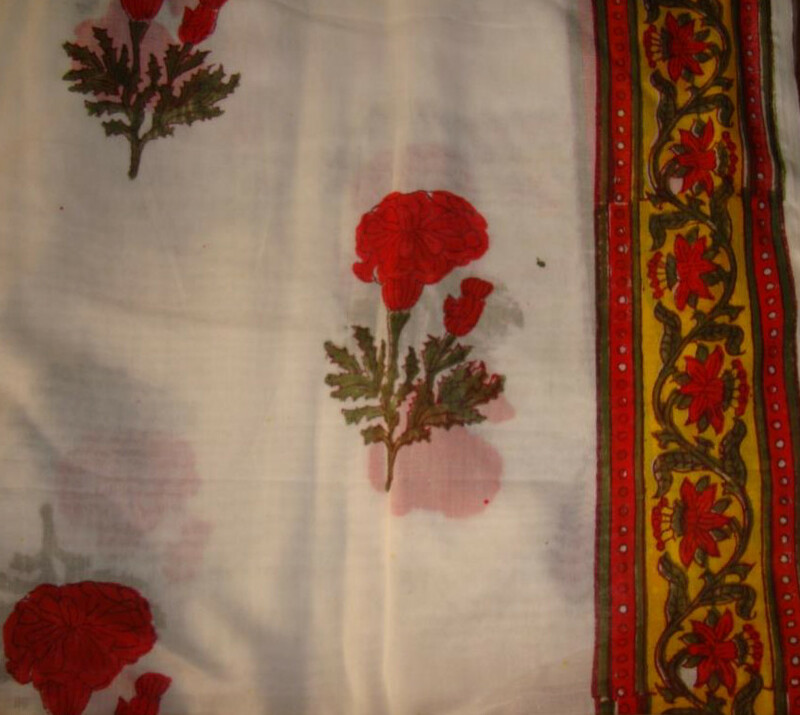 These tunics are marked by the tailor, so they are embroidered in the order of priority. The tailor is available after the Eid hoilidays. 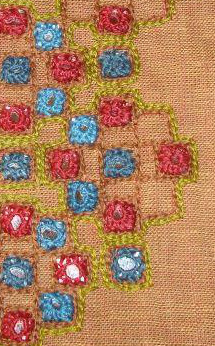 With so many projects in different stages, my hands are not able to cope up with the speed of the mind. The inspirations picked up in India have to noted, before they vanish.